Who Will Get Drunkest at This Year's Golden Globes? 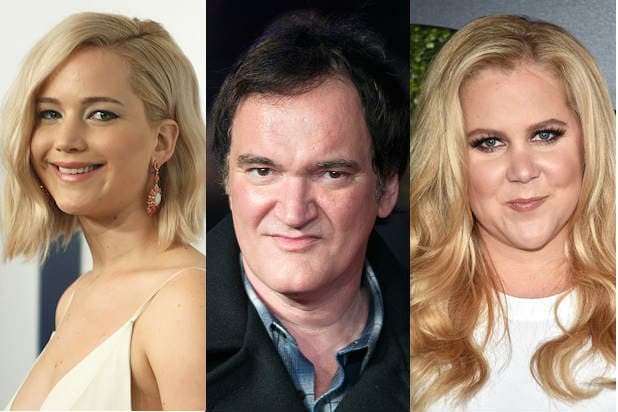 Wrap-Ranker Golden Globes Poll: Who Will Get the Drunkest at This Year’s Ceremony? Jennifer Lawrence, or her BFF Amy Schumer? Vote which celebrity will drink the most at this year’s Golden Globes. Celebrities tend to feel a little less stuffy at the Golden Globes and more open to having fun. Maybe they want to get their excess energy out early so they feel proper and classy for future awards. Maybe it’s the cherished tradition of drinking at the Globes. Who can say? Will Jennifer Lawrence drink her friends and co-stars under the table? Or will her gal pal Amy Schumer prove stiff competition? Maybe Quentin Tarantino will be the one to drink a few too many cocktails. Vote for which celebrity you think will be the drunkest at the 2016 Golden Globes. Who Will Get the Drunkest at the Golden Globes?